Chances are many of your questions have been asked before. 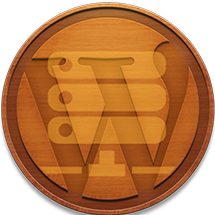 Web Werks specializes in WordPress and Joomla customization, Web Design, Domain Names and Domain Hosting. We have been customizing WordPress themes for a few years and have a growing customer base that has allowed us to lower our prices. Our designs are beautiful, functional and affordable. We build websites by creating a digital strategy before development. Our design team love challenges and will use third party resources when possible or cost effective solutions to make your investment a success. Contact Web Werks for the best unique designs on the web. We offer a no-questions-asked refunds to all customers, however all purchases are pro-rated from the date of purchase. If you are not satisfied with our product, then simply send us an email and we will refund your purchase right away. This means refunds are subjected to cancellation of your hosting and domain, however domains are purchased for the year and we can not refund such items. This means only such certain items in our design packages are subjected to refunds. Our goal is to create a happy customer, so if you are not thrilled with the product or you are not enjoying the experience, then we have no interest in forcing you to stay an unhappy client. I have no set price list, but rather I listen carefully to what potential clients require and put together a unique proposal based on their needs. The best way to get a quote or more information is to fill out the FREE QUOTE FORM outlining your requirements. We can then line up a time to talk in more detail.. This depends on your needs, however in terms of deliverables this could include logo files, stationery, style guides, website files, social media avatars and so on. You will also receive consultation, support & research on my behalf all throughout the project, and after too. This depends on the exact needs of a project but a “usual” brand identity project takes about 7-10 days. This can be done quicker if necessary, but I generally recommend at least ten days for most projects, to ensure that the appropriate research and creative output is the best it can be. Listen to the client & define design brief » Proposal » 50% deposit » Research » design » code » Presentation » Revisions » Final 50% » Delivery » Support. Yes, you can upgrade at any time after signing up. Just contact us and we will upgrade based on the things you want to implement. We want you to make sure you are not wasting your investment on something that can be added to your plan at no charge. Just let us know you would like to cancel and we will cancel your account. You will have the option of using our service to save or transfer your website and database for a small fee of $75. Can we still work together if we live in different states or countries? Yes, in fact the vast majority of my clients are not based in the Austin area. Business is simply conducted via email, phone and video chat as needed. If you are in the area, then it would be great to meet. These are techniques and information added to the code of a website to help drive traffic to a website by improving visibility and relevance to major search engines. Standard search engine optimization is included with all of our web site packages at no additional cost. SEO results vary from industry to industry depending on competition for the targeted keywords and key-phrases. Advanced SEO (ASEO) can also be configured to your web site for greater results and traffic (additional add-on). How do I choose the right designer? Have you done any work in our industry? Very likely the answer is yes! Though the specific industry does not matter as much as one would expect. Part of my research is of course to best understand the business I am working with and for. I adapt my skills, research and process around the client’s needs and industry until any and all needs have been met. For most projects, I request a 50% down payment to schedule in work. I accept payments via bank transfer, PayPal, Credit Card over the phone or check. The exact details and terms will be provided in my proposal. The final 50% will be paid on completion of the project, prior to releasing the final artwork. I only take on a few projects at a time to ensure that each client gets their deserved attention. Please message me via my contact page and I can check my availability then respond; as this changes all the time. Most new start-up companies have no idea what this is and are wondering why so many websites are including this page. Blogging is all about writing articles of interest consistently to give search engines like Google the content they crave (SEO). Consistent and regular blogging requires a commitment which is ongoing. You don’t want this task to become a drudgery. The blogging fee is well worth it if you feel this will take more of your time than you are willing to offer. It will also save your precious time for a more profitable endeavor such as running and growing your business. Blogging cannot be ignored if you are expecting to grow and keep a permanent flow of traffic to your website. Social media alone will not get the job done. Competition is fierce and the top sites stay current with blogging techniques. Can I blog on my own? If the website owner is a creative writer or if he or she is familiar with article writing, they can do the work themselves, but will still need to learn the rules for publishing content on the web and how to operate the software. Blogging and content marketing – Do I really have the time required to develop a well though out and interesting article each week? If your answer is “no” …you may want to consider hiring a professional. It could take up to ten hours researching information and developing an article worth reading. If writing is your passion, go ahead and take on the task yourself. Can I have any domain name (or URL) I want for my new web site? Yes, you can have any domain name you wish, but only as long as it is available (choose from .com, .net, .org, etc). Domain name choice is crititcal as it is woven into the fabric that is SEO. Please note that even though a domain name appears to be available (because there is no website when you type in the URL), it might already be registered by someone else. We can suggest alternate available domain names if you first choice is already taken. Contact me to discuss best domain name choice practices. Great! I’m looking forward to learning more about your business and your project goals. This questionnaire should get things rolling. 7. Are you the decision-maker for this project? 8. Do you have a required launch date? If your project is a website, please continue. Otherwise, you can skip ahead to question 14. 9. What should the function of your website be? 10. Do you have a site structure ready (list of pages and description of content for each page)? Yes, I have a site structure outlined. No yet, but I will get one ready. 11. How should the site be perceived? 13. Will you be providing your site copy? No, I need to outsource the copy. 14. Do you have any of the following resources for the project? 16. Is your company a 501(c)(3) non-profit? 18. Are you intereste in any of the other following services?